The heart of this helium balloon kit is a great tank: a pro-quality 60 cubic foot helium cylinder. Big capacity, lightweight. It even comes with a handle, for super easy carrying to and from the party. Best of all, the tank is refillable over and over. You’ll never pay for another disposable party store tank again. 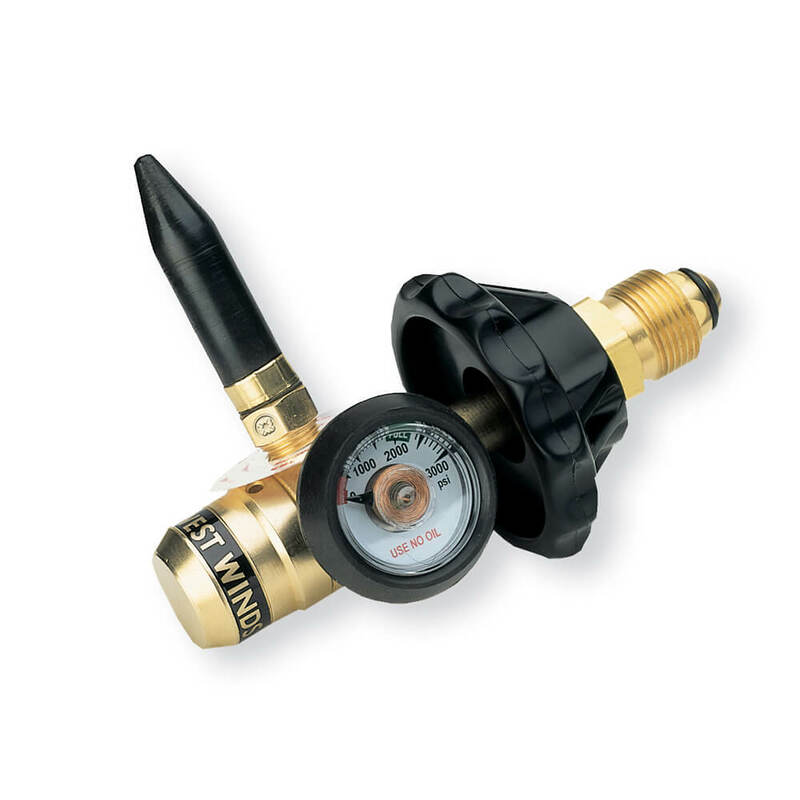 The cylinder is matched with a reliable, high-quality inflator valve. It’s a complete, no-compromise balloon filling kit. 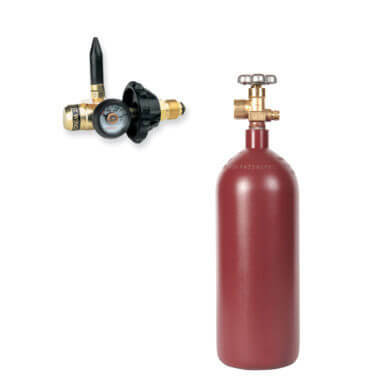 This kit comes with a premium latex inflator/filler valve and regulator by Western Enterprises. 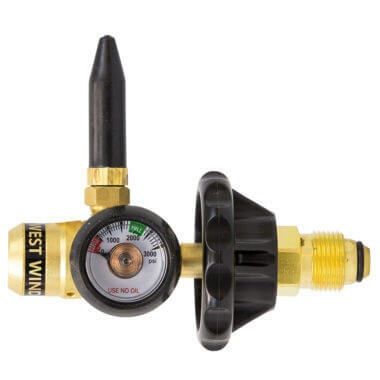 This feature-packed filler has a rubber tilt valve, tank contents gauge, and an easy-to-hook-up hand-tight connector (no tools required). Capable of 38-85 PSI of helium through the valve, it’s versatile enough to easily handle large and small balloons. How Many Balloons Can This Kit Fill? Temperature, balloon size, fill amount, and other things change. All those affect how many balloons you can fill from a kit. But we can estimate how many balloons you can fill from this kit by comparing it to typical budget kits found in stores. 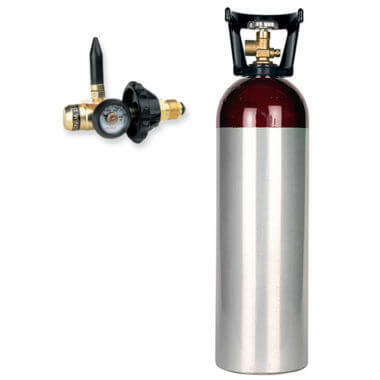 *A large party store tank will hold about 14.9 cu ft of helium. That fills about 50 9″ latex balloons. 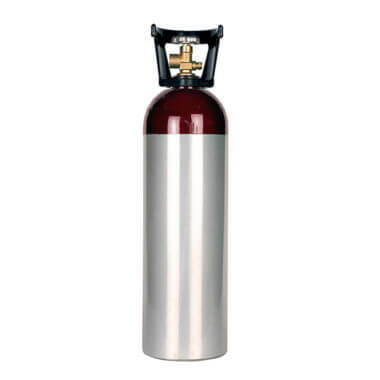 Small pre-filled tanks hold about 8.9 cu ft of helium. They fill about 30 9″ latex balloons. So that’s around 3.3 balloons per cubic foot of helium. 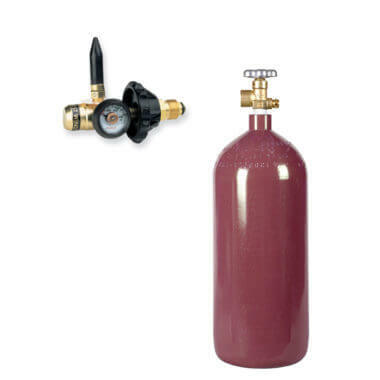 This 60 cu ft helium balloon kit will fill approximately 200 9″ balloons. Please note: all cylinders ship empty. Find this helium balloon kit and other sized kits available on the Helium Balloon Inflation Kits page.